An Australian journalist gave a scathing critique of President Donald Trump's performance at the G-20 summit in Germany this week in a news segment that has gone viral in the United States. In the news segment, aired on the Australian Broadcasting Corporation show "Insiders," Chris Uhlmann described Trump as an "isolated and friendless" leader on the global stage who "has no desire and no capacity to lead the world." "He was an uneasy, lonely, awkward figure at this gathering, and you got the strong sense that some of the leaders are trying to find the best way to work around him," Uhlmann said, speaking from the conference in Hamburg. 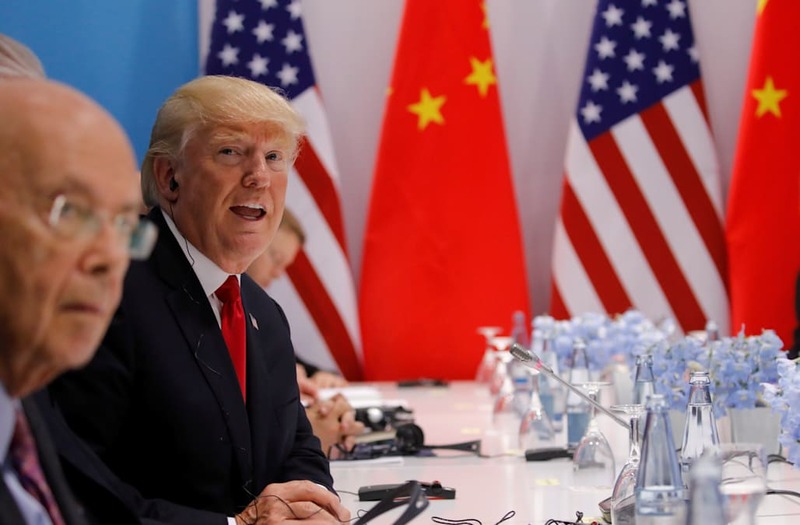 Uhlmann said Trump wasted an opportunity to condemn North Korea for its recent test of long-range missiles, a move that could have earned him support from other leaders turned off by his opposition to the Paris Agreement on climate change. The journalist also contrasted the "scripted" Trump, who gave a well-received speech in Poland, with the "unscripted" Trump — "a man who barks out bile in 140 characters, who wastes his precious days as president at war with the West's institutions, like the judiciary, independent government agencies, and the free press." "Donald Trump's a man who craves power because it burnishes his celebrity. To be constantly talking and talked about is all that really matters, and there is no value placed on the meaning of words, so what's said one day can be discarded the next." Uhlmann wrapped up the segment with an ominous assessment. "So what did we learn? We learned that Donald Trump has pressed fast-forward on the decline of the United States as a global leader," he said. The blunt critique appears to have struck a chord in the United States — a video of the segment has been viewed more than 1 million times on Twitter and Facebook over the weekend, and exploded on liberal Facebook groups and message boards. It came even as critics pointed to controversial comments Uhlmann made in 2016 about Jewish people fleeing Adolf Hitler's Germany. The New York Times noted the appeal of the segment to many Americans, describing Uhlmann's commentary as "out of line for American journalists, who are supposed to strive for objectivity and to keep opinions to the editorial pages."